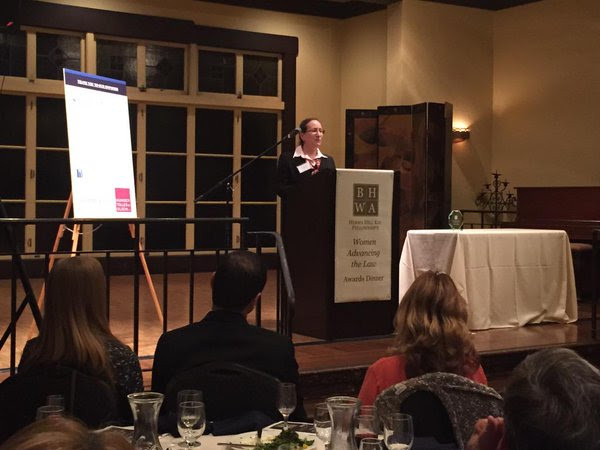 We are proud to congratulate IANGEL Founder and Board president Nancy Newman for being honored by the Boalt Hall Women’s Association (BHWA) with its inaugural “Women Advancing the Law” Practitioner Award for her tireless work in founding and leading IANGEL. Nancy was honored along with Professor Andrea Roth and Professor Kristin Holmquist, both of UC Berkeley. The awards were created to honor outstanding work in advancing women and the law through education or legal practice. The ceremony was held at the Bancroft Hotel in Berkeley with over 100 practitioners, professors, and students in attendance. 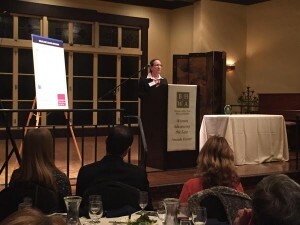 All proceeds from the dinner went to the Herma Hill Kay Fellowship program, providing support to law students who advocate for women through their legal work. The event was generously sponsored by: Sidley Austin LLP; Irell & Manella LLP; Goodwin Procter; Gibson Dunn; Cox Castle Nicholson; Jenner & Block; Munger Tolles & Olson LLP; Hanson Bridgett LLP; Kazan McClain Satterley &Greenwood; Simpson Thacher & Bartlett LLP; and Kirkland & Ellis LLP.